Our dental lab specialize in premium gold alloy restorations, without a premium price. 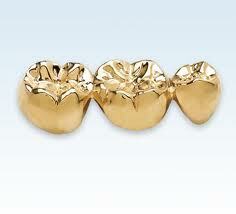 Our full cast gold crowns are an exceptional value with over 60% yellow gold. A proven performer, these crowns are ideal for posterior crowns and bridges where occlusal space is limited. 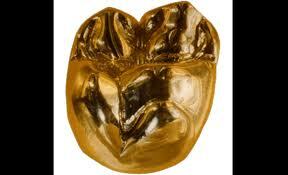 Because of the high gold content, these crowns are softer and more forgiving than traditional alloys and pfm's. This means no more chips or cracks and is an ideal choice for patient comfort and functionality. For cases with limited occlusal space, our dental lab can design a non-precious cast crown for patients who prefer the look of a full gold crown. 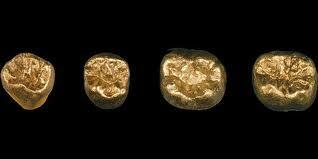 Our non-precious full cast crowns are an exceptional value and provide many of the same benefits of gold. It is more forgiving than traditional pfm's, especially where there is limited occlusal space so it won't chip or crack. Just ask any AST Dental Lab representative for more details.